The Grable Foundation is guided by its mission to help children and youth become independent, caring, contributing members of society by supporting programs critical to a child’s successful development. With a focus on southwestern Pennsylvania, the foundation seeks out nonprofit partners who share its commitment to making the region the best place to be a kid. 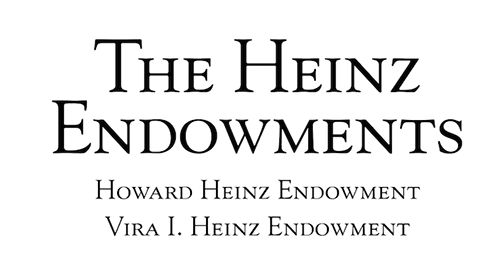 The Heinz Endowments is devoted to the mission of helping our region prosper as a vibrant center of creativity, learning, and social, economic and environmental sustainability. Core to our work is the vision of a just community where all are included and where everyone who calls southwestern Pennsylvania home has a real and meaningful opportunity to thrive.